WASHINGTON — President Donald Trump fired Veterans Affairs Secretary David Shulkin on Wednesday, ending weeks of speculation about the embattled administrator’s future. Shulkin’s position in the administration had been in jeopardy since the release of a damning inspector general report last month that criticized him for wasteful and unethical actions during a 10-day official department trip last summer. In the wake of that report, Shulkin accused subordinates and White House operatives of working to undermine him because of a host of policy disagreements. In recent days, he backed away from promises to purge his department of those enemies and largely avoided the press. The move leaves the Department of Veterans Affairs — which has a budget of nearly $200 billion and boasts about 360,000 employees — in a state of leadership disarray for the second time in less than four years. In May 2014, then-VA Secretary Eric Shinseki was forced to resign after a national scandal over patient wait times and records manipulation by hospital officials. Shulkin was fired via Twitter. The president did not mention his name in the announcement. 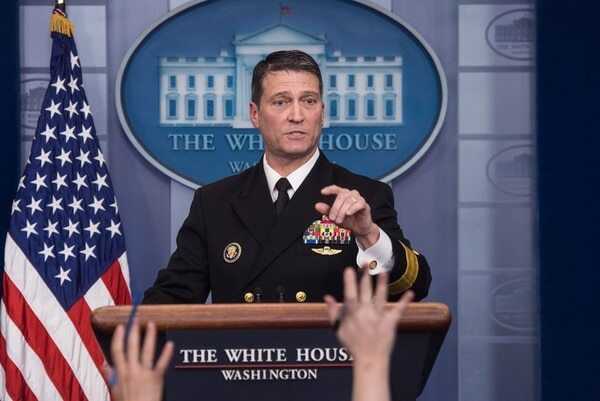 Trump’s new VA Secretary nominee, Rear Adm. Ronny Jackson, has served as the White House physician since 2006. He is an Iraq War veteran who has served in the Navy for 23 years. He has filled in various military medical roles, but does not have any official experience in the VA medical system. Trump’s pick for the interim VA secretary, Robert Wilkie, currently works in the Defense Department as the under secretary of defense for personnel and readiness. It’s unclear if he will return to that role if Jackson is confirmed as the new permanent secretary. Shulkin, 58, was the only holdover from former President Barack Obama’s administration on Trump’s Cabinet. He had previously served as VA undersecretary for health since June 2015, and was frequently lauded by Trump for his expertise in health care management. 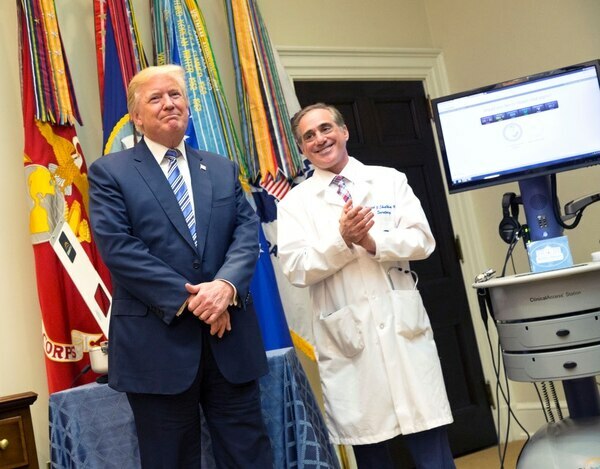 Shulkin is also a still-practicing physician and the first non-veteran to serve as the nation’s top veterans agency official. His appointment in January 2017 came as a surprise to many in the veterans community, but did not bring with it much opposition. The Senate confirmed him 100-0 (a fact that Trump also mentioned frequently in public appearances), and veterans groups in recent weeks rallied around him as one of the most successful secretaries in recent history. Last year, Shulkin’s department was a frequent source of positive news for the tumultuous Trump administration, with major new initiatives on employee accountability, benefit appeals reform, and education benefit expansion signed into law. Last summer, during one of those bill signings, the president joked publicly that Shulkin would never hear Trump’s reality TV catch-phrase “you’re fired” because of the excellent work he had done in the demanding job. But their relationship soured in recent months. Administration officials said the president was unhappy with Shulkin’s handling of the travel scandal, in which the VA secretary improperly paid for his wife’s airfare with taxpayer funds and accepted free tickets to the Wimbledon tennis tournament from an English businesswoman. Shulkin initially defended his actions, posting a lengthy statement decrying investigators on the VA website that the White House ordered taken down hours later. 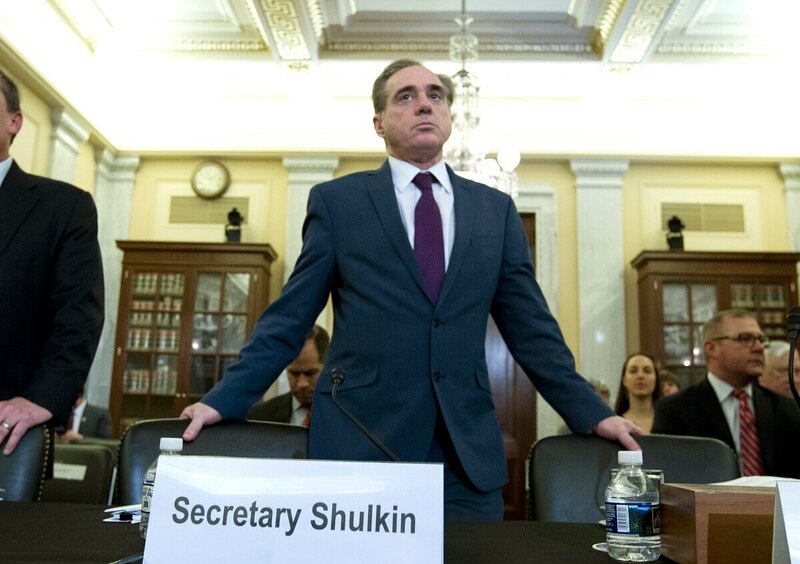 That prompted accusations of insubordination from Shulkin, and made public a host of internal policy fights over shifting more federal dollars for veterans’ medical care to private-sector physicians. Shulkin said repeatedly in recent weeks that the president and White House chief of staff supported him, but he was unable to fire or discipline any senior level department employees connected to his accusations of an internal coup. While administration officials as recently as this week said that his job was not in jeopardy, others in the White House began vetting potential replacements for the top veterans post. Shulkin’s abrupt dismissal also raises a host of short-term leadership questions at the department. Administration officials have floated rumors of dismissing VA Deputy Secretary Thomas Bowman in recent months over a series of political disagreements. Two of the department’s three other top positions — the undersecretary for health and the undersecretary for benefits — have been vacant since the start of Trump’s presidency. Following the surprise announcement, House Veterans’ Affairs Committee Chairman Phil Roe, R-Tenn., issued a statement praising Shulkin. Veterans groups — many of whom had praised Shulkin in recent weeks and petitioned the White House to leave him in place — offered cautious reactions to the news. “Secretary Shulkin has acted in the best interests of America’s veterans and was making meaningful, positive changes at the VA,” American Legion National Commander Denise Rohan said in a statement. Leaders at Paralyzed Veterans of America were more blunt, saying they are “deeply disappointed” in the firing. “Given the vacuum that already exists in the senior leadership positions at the Department of Veterans Affairs, this decision will only exacerbate the challenges VA faces as it works to implement meaningful reforms,” said Carl Blake, executive director at PVA. Shulkin is the latest in a series of high-profile shakeups at within the Trump administration. On March 13, Trump announced via Twitter that he was dismissing Secretary of State Rex Tillerson and replacing him with CIA Director Mike Pompeo. On March 22, again on Twitter, the president announced he was replacing national security adviser H.R. McMaster with former U.S. ambassador John Bolton.